Wake Up, Charge Up, Meet Up. wake up. charge up. meet up. Are you ready to Meet Sunny? Take us for a test ride. or christineroberts@broward.org by March 30, 2014. Where business creativity and bold innovation percolate. Our fresh spaces inspire bolder brainstorming and bigger ideas. Greater Fort Lauderdale surrounds your group with an environment rich in natural beauty, conducive to insightful thinking. Where teams charge and recharge. We&apos;re experts at blending serious business with sunny pleasures. 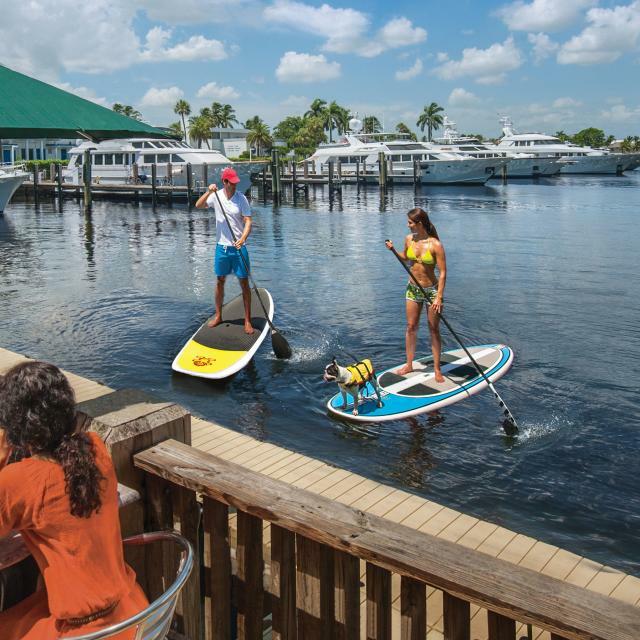 Thanks to 3,000 hours of annual sunshine and an average temperature of 77°, building team camaraderie and greater productivity is as easy as a beach volleyball team challenge, a golf tournament or a sunset sail along the Intracoastal. Where getting down to business is easy. You&apos;ll spend far more time working and playing...and less time getting around. Fort Lauderdale-Hollywood International Airport offers hundreds of direct flights from U.S. cities and other countries. Upon landing, you&apos;re within three miles of our LEED® Gold Certified, 600,000 square-foot Broward County Convention Center, along with the Lauderdale Convention Collection of hotels -featuring 3,500+ rooms plus leading-edge business facilities. Most importantly, your Sunsational Service Team is here for you, to make your planning easier and your meeting even more successful. We look forward to your event in Greater Fort Lauderdale.